“You can be beautiful and you can be sustainable. 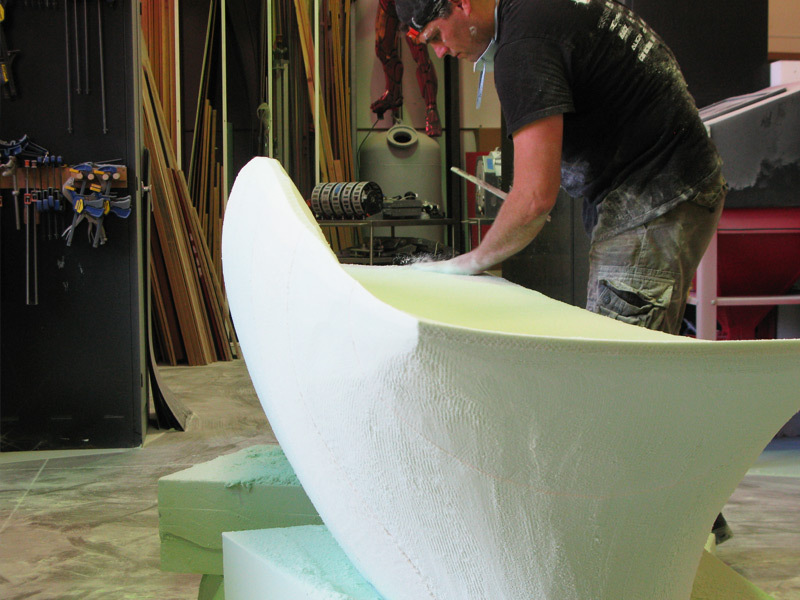 Those things don’t have to be mutually exclusive.” –David Saltman, Malama Composites. DDSTUDIO is currently developing limited edition furniture to showcase San Diego’s “green” manufacturing companies—Noble Environmental and Malama Composites. These two eco-savvy businesses are producing industrial materials in mixed-use urban settings. We rarely think about the materials used in our everyday lives. Typically, they are composed of a petroleum base with vapor emitting chemicals—but there are alternatives. Malama Composites blows a soy foam polyurethane replacement, while Noble Environmental presses boards from almost anything recycled and local, replacing MDF with added value. 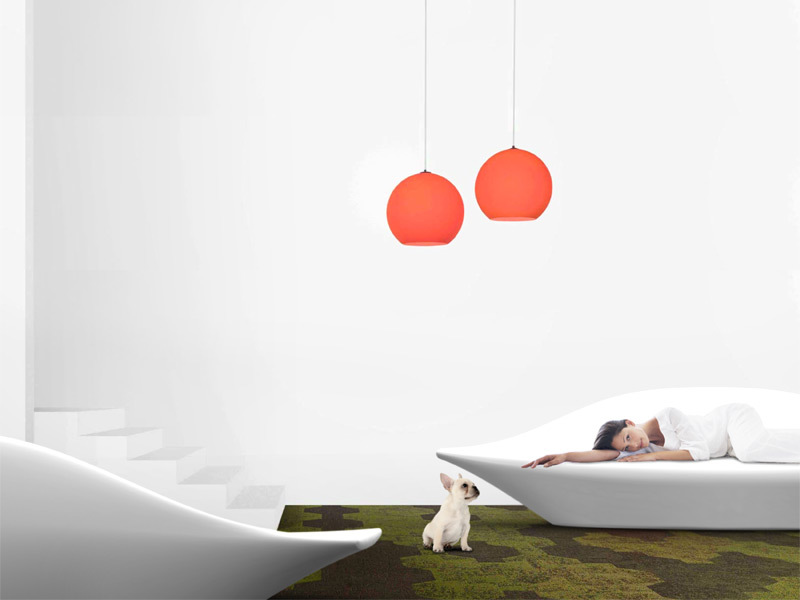 In both cases, the materials are locally sourced, locally produced, and locally transformed into furniture. To get the right usability and image, we like to mock-up, refine, mock-up, prototype. We get through a lot of materials to make the final product just right, so having non-polluting, sustainable materials to work with is a tremendous advantage. The challenge arose in finding new ways to manipulate the materials, as foam is usually cut and shaped with power woodworking tools, while we use CAD programming and CNC. The final pieces do not appear significantly different from existing units—instead they are fresh interpretations. The panels are custom produced with various innovative 3D surfaces for structure and appearance. 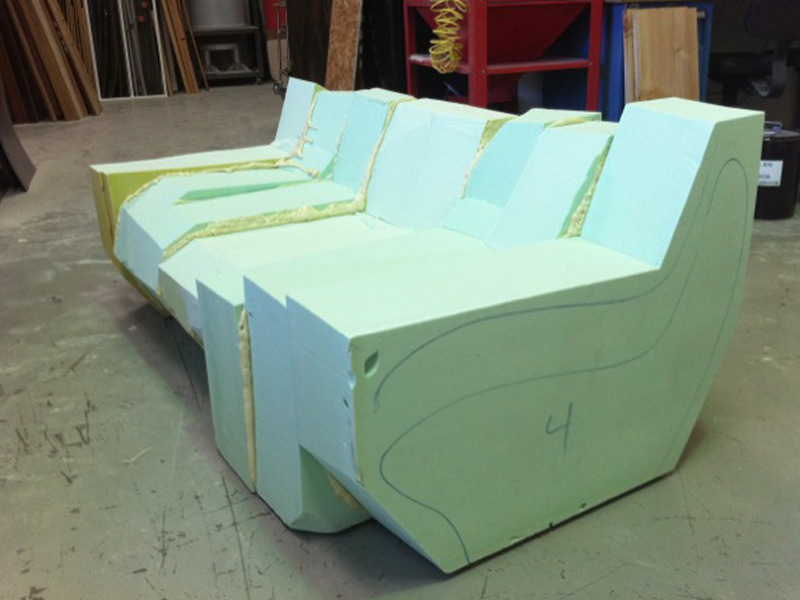 The final furniture pieces we make are KD construction for less bulky shipping. The foam, specifically, comes in massive blocks, allowing for large sculptural pieces that we only sell locally. The 2011 Money Tree report shows that four cleantech start-ups raised $78 million in the San Diego area last year. The existence of these new companies’ materials spurred on our creative urge and gives new meaning to our limited edition pieces. DDSTUDIO engaged with the San Diego cleantech community, and did the artistic management, prototyping, and final custom finishing for the furniture pieces. We will be showing the pieces at galleries in San Diego, as well as executing royalty agreements with local eco-material manufacturers.